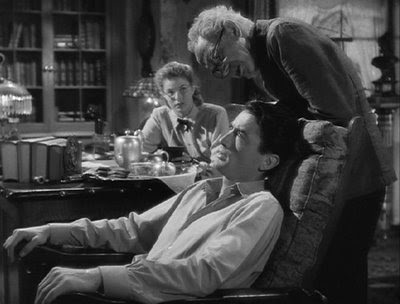 J.B. (Gregory Peck) has his head examined in Spellbound. A new study conducted by New York University suggests that Alfred Hitchcocks’s TV shows stimulate the brain more completely than other shows. 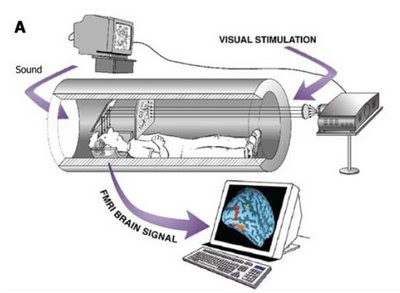 In a new field of study called neurocinematics, researchers recently used MRI technology to monitor brain activity while subjects watched movies and TV shows. They showed clips from Sergio Leone's The Good, the Bad, and the Ugly, an episode of Alfred Hitchcock Presents and an episode of the HBO series Curb Your Enthusiasm. The Hitchcock episode – “Bang! You’re Dead” – rated the highest of the three. According to an article published at Scienceblogs.com, Sergio Leone’s spaghetti western produced an ISC score of 45%, while Larry David's mock reality show scored a mere 18%. The Alfred Hitchcock Presents episode, on the other hand, induced viewers to score that show a 65%. According to Hitchcock, the creation of suspense is brain surgery. Once again, Hitchcock proved to be far ahead of his time. Thanks to my colleague Ken Mogg, author of The Alfred Hitchcock Story, for calling attention to this on his Hitchcock scholars’ blog. Yesss! I knew it! Thanks for the info.